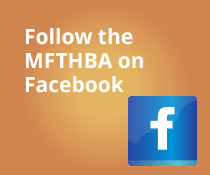 The MFTHBA Board has approved altering the fall breeding date from October 1 to September 1. Starting with the 2014 breeding season, foals born from September 1 through December 31 are considered to fall in the following year when calculating the horse’s age. This provision is for show purposes only and is invalid for the Missouri Fox Trotting Pony Registry. “This change in breeding date allows folks who breed for fall foals to breed a month earlier in the year while their mares are more likely to be still cycling before the cold weather,” said MFTHBA President Dr. Joyce Graening.